The zoo is devided in 4 zones or their Biome : Deserts, Encounters, Forests, Oceans and Plains. These distinct areas present approximately 1,400 animals and about 31,000 plants together in simulated natural habitats. The Zoo recreates the natural environments from the Antarctic land of the Penguins to the realm of the king of the beasts, the majestic African Lions, a visit to the Zoo is like a trip around the world. 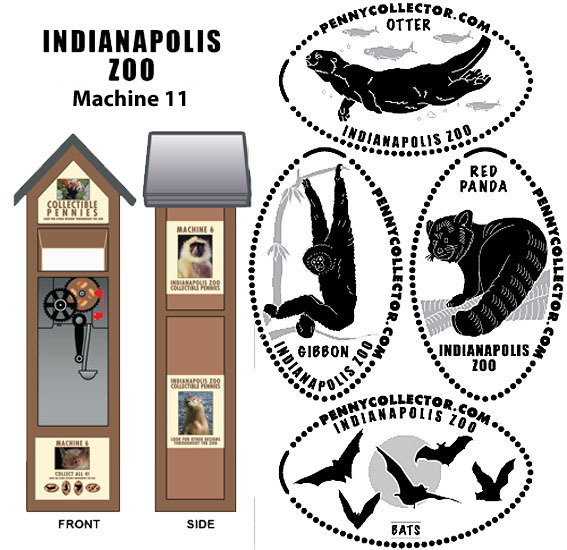 The zoo is very maneuverable in a simple loop. 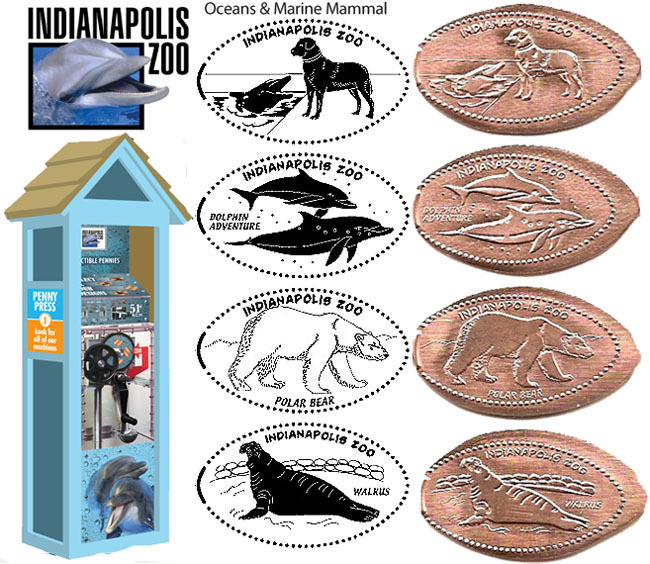 Designs are: Walrus, Polar Bear, Dolphin, Dog with Dolphin. 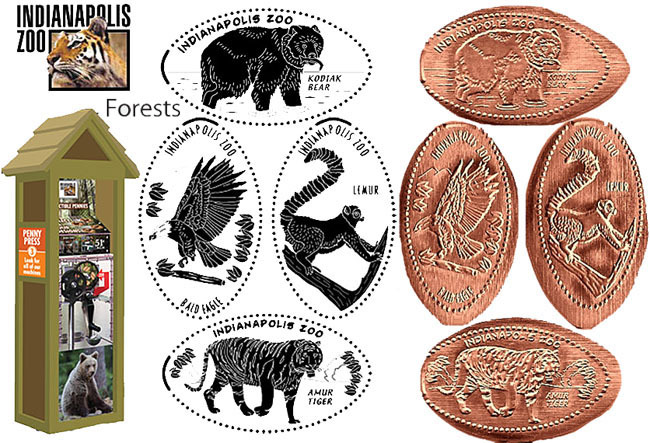 Designs are: Lemur, Bear, Tiger, Eagle. Machine 3 is located at the exit of oceans next to token machine 3. 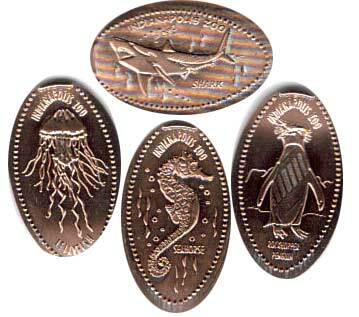 Designs are: Seahorse, Penguin, Jellyfish, Shark. I touched a shark, Moray Eel, Clown Fish, Sea Lion. 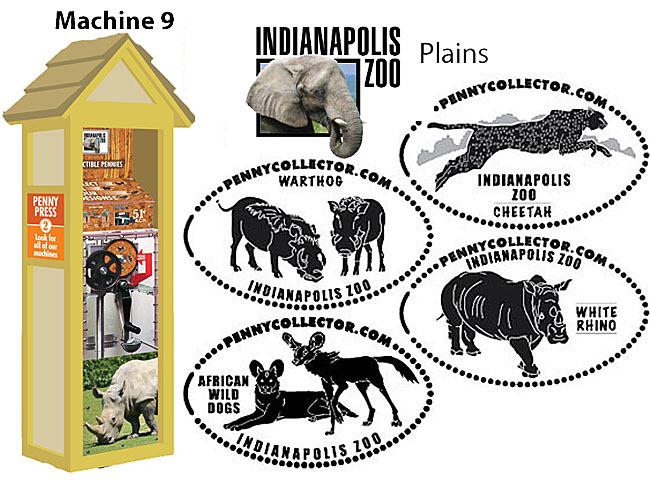 Machine 10 is located in the lobby of the White River Gardens building (Butterfly Exhibit/ #5 on machine). 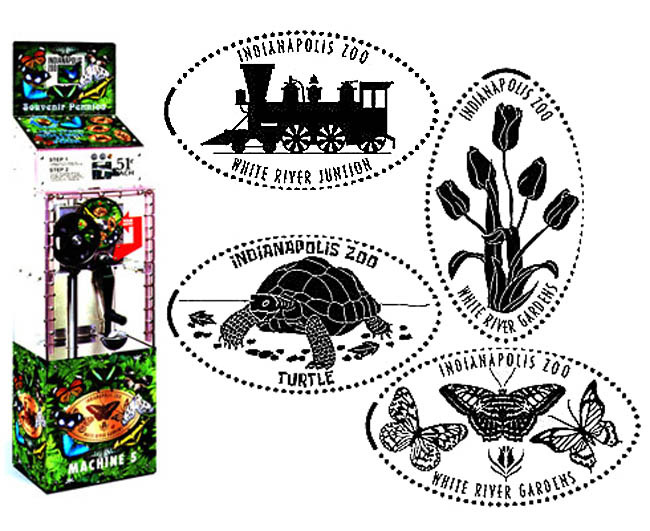 Designs are: Butterflies , Turtle, Train, Flowers ). Machine 11 is by front gift shop: (#6 on machine).